Rhonda's Escape: Q & A - Is Facial Feminization The New Plastic Surgery? Q & A - Is Facial Feminization The New Plastic Surgery? With celebrities and media forever in our midst, it is no wonder plastic surgery has seen a rise in the past few years. Social role models have been empowering the trans community like never before (about time) and people seem to be more willing to do whatever it takes to look and feel their best. Of course, even though the acceptance has grown, some people still judge those who choose to undergo plastic surgery – what can we say, haters gonna hate! We hold no judgement, after all, if someone is seeking professional help to change a part of themselves they are not happy with, shouldn't we all respect that? 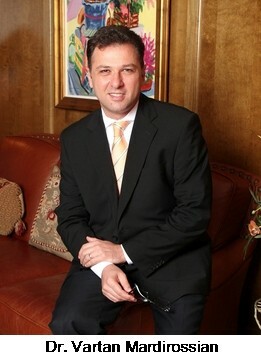 Dr. Vartan Mardirossian, a plastic surgery guru and the head of Mardirossian Facial Aesthetics was kind enough to talk to us about his thoughts on the growth of plastic surgery and the motivation behind his high-end beautifying procedures. Q: How do you think celebrities such as the Kardashians affected the way people feel about plastic surgery? I think that the major impact was felt after Caitlyn Jenner's transition in particular regard to facial feminization surgery. I think that people feel that plastic surgery is something more do-able and not so far-fetched and exotic. On the other hand, procedures like Botox and fillers have been in the public eye for a long time now. I feel that the major "contribution" of the Kardashians so far has been the fact that they get it done properly and without looking fake, over-injected or overdone, in other words, without vilifying the field of cosmetic surgery. Q: Do you think it has now become more commercialized or acceptable to get things such as botox and lip fillers? I think so. There has definitely been influence from celebrities but we can also look at the media in general as a stimulant for these approaches. Q: What exactly does "feminizing" mean in terms of plastic surgery? Feminizing is a synonym of "making look more attractive". Psychological studies have shown that more feminine features are perceived as more attractive, regardless of gender. It generally means giving a softer touch to the face from the hairline down to the chin, the so-called "heart-shaped face" - a less prominent forehead to let the light enter the eyes , fuller cheeks to reflect the light into the eyes to the same purpose, smaller and less noticeable nose, a full lip with a small show of the upper teeth, a refined chin and mandible. Q: What is your goal when doing a procedure on a client? My primary goal is to see the women in their interior world and decide how to better express that on their faces. I also love spending time with them and learning about their main objectives so that when I am doing the procedure I can almost converse with them and reach an agreement of what will look good on their face and what they will be happy with. I personally believe that every good facial plastic surgeon should do this. Are trans clients your specialty? I see a lot of transgender patients in my office in Jupiter, FL, however I also see a lot of women who want to look more attractive and turn to the facial feminization procedures to fulfill their goals. Q: What must clients be aware of before deciding to undergo a feminization procedure? They must be aware that besides our accurate evaluation and surgical skill, the success of the procedure depends at least 50% on them. First and foremost we always want to make sure that their expectations are reasonable and that is why we give them the best advice about what is going to work or not work for them. Then, we diligently take the time to make them aware of the postoperative recovery, how to best take care of the operated area or areas and what to expect. Q: Are there different levels of complexity? What are they? Every procedure on the face is complex if done properly. Our field is all about quality of life. A procedure includes proper evaluation and an understanding of the patient's needs and wants –and how these two correlate. Then we perform the procedure with the utmost attention to detail in order to achieve the best outcome while keeping the patient safe and happy. Q: How long do the procedures last? This varies enormously - lip implants, fillers or Botox may take minutes to place while some facial reconstruction procedures take up to 8 hours. What is the recovery time and are the effects long term? Again, this depends on the procedure involved - Botox or fillers have virtually no recovery time while some facial contouring procedures may take several months for the swelling to resolve and the final results to be evident. We always make sure that the patient understands that. Q: How did you decide to become a plastic surgeon and what do you enjoy most about your profession? I always wanted to make a difference in people's lives. Being Armenian and being born in Bulgaria, then traveled, lived and studied in Italy and then the USA, I was used to being called Bulgarian, Italian or even Russian while always trying to nurture my national identity. This brought me close to the transgender community - I realized that those patients constantly fight to be who they are and live according to what they feel inside despite the labels that society tries to impose on them. I read that Post and got it fine and informative. Please share more like that.Thumbs up guys you are doing a really good job. 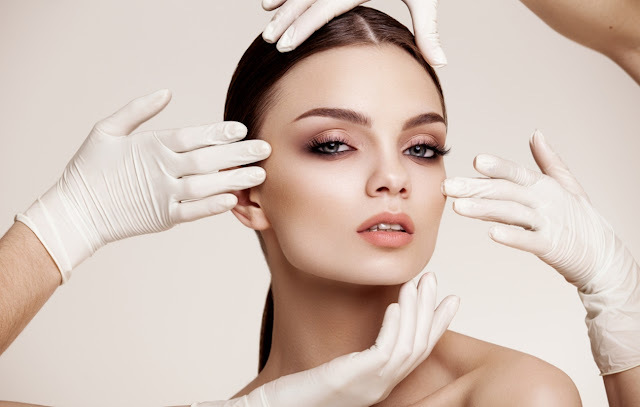 If you are seeking for the Best Facial Plastic Surgeon in Los Angeles then visit Dermatique Skin Spa.